Teaching circus skills from Brownies to degree level taught us that we need equipment to appeal to all ages and in addition to the traditional Juggling, balls, scarves, clubs and rings, Diablo's, Hula Hoops , Spinning Plates, Poi, lassos, Peacock Feathers, manipulation plates, lariat thowing , Dragon Tails circus ribbons, flower sticks, mini bike, cups and balls, kendama, shaker rings, foot stilts pedalgos and uniwheels. 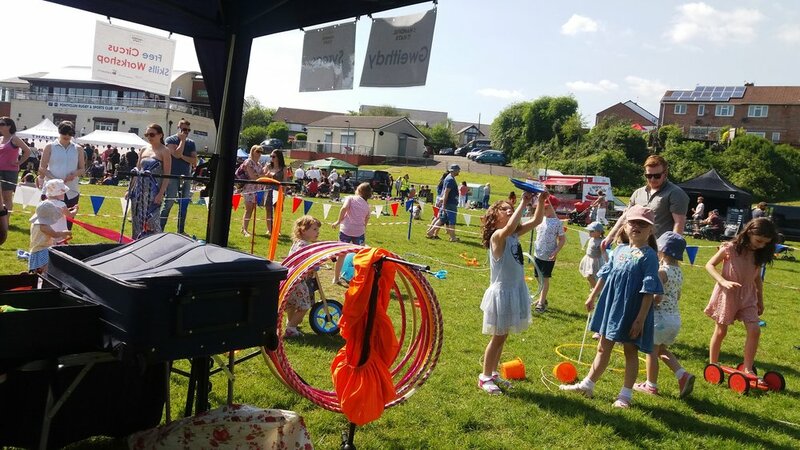 Balance bikes, Scuttle bugs, mini stilts, mini ribbons, more spinning plates, space hoppers and mini bouncy horses and Bubbles! On message, targeted, themed, challenging but most of all fun! circus workshops for adults, smartly dressed trainers , quality props , delivered anywhere for any number! 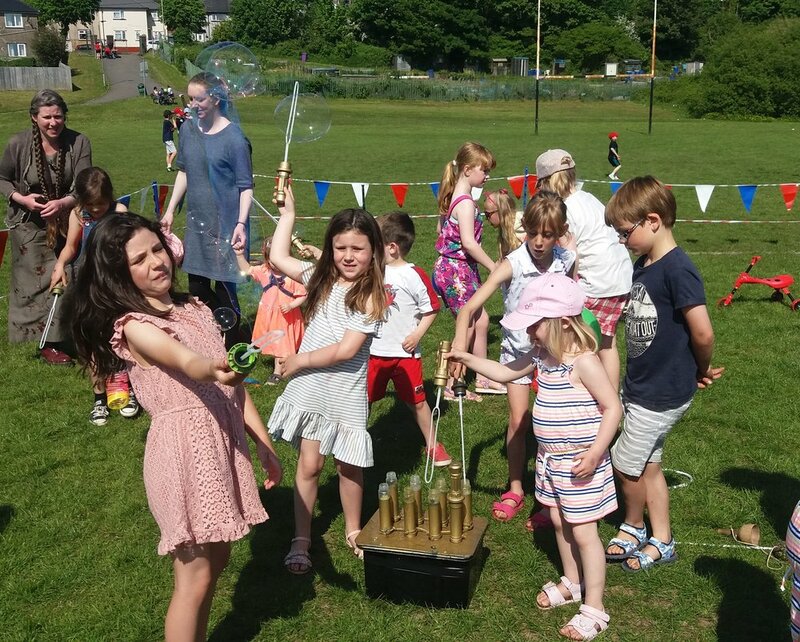 The perfect circus workshop for vintage and Victorian events. Top hatted Tutors with magnificent whiskers , period costumes and circus props. 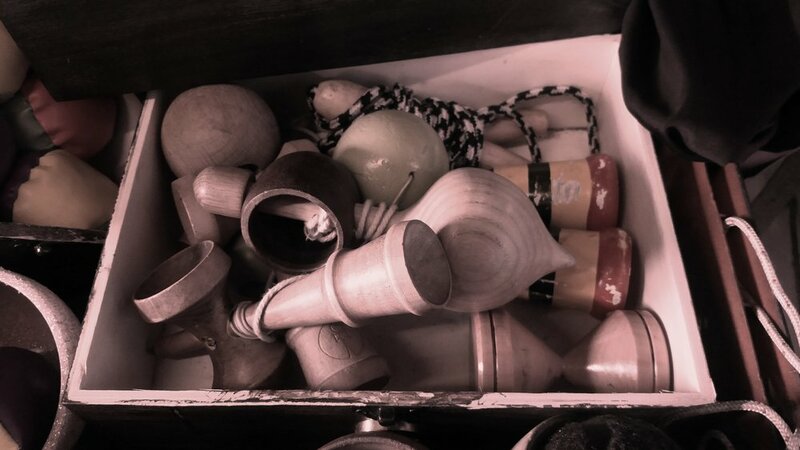 A selection of period circus skills toys and paraphernalia, mixed in with some subtle modern props all packed and presented in wooden packing cases and trays to complete the selection. How many can you accommodate and what space do you need? 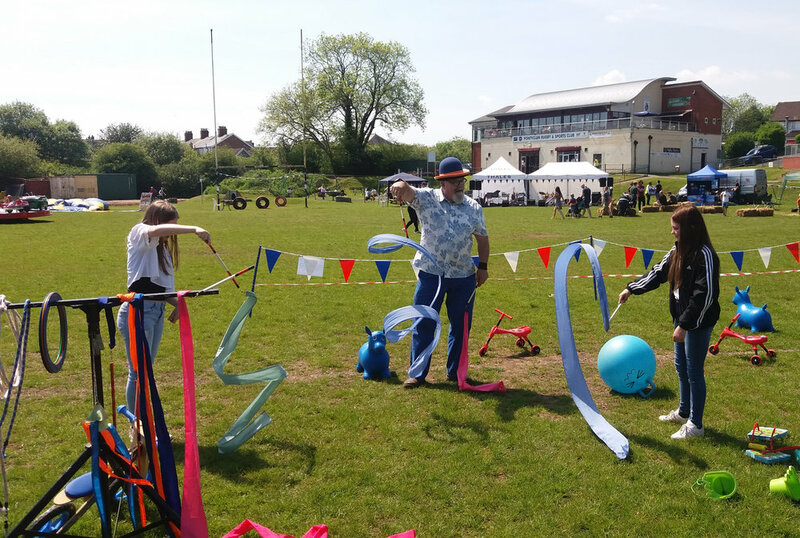 We've provided workshops for festivals , fetes and fun days for thousands of people, and one to one training for TV shows and Films and surprise birthday presents for adults too. .
We can fit into an office or we can fill a sportshall. Outdoors for a fete, a space 25 mtrs X 25mtrs is good but bigger is better, just contact us to discuss your requirements . All we ask is that the ground is level and flat (tish) and short if it's grass with any clippings cleared away. How Long can they be ? From an hour to all day to a week long residency. just let us know what you have in mind. Spin Dogs, BBC, Admiral Insurance, British Airways, every primary school this side of the Pecos. Lloyds Bank, National Museum of Wales, Royal; Armouries, Llantwit Major Victoriana Day , Bryn Gawr Manor Hotel Victorian Christmas Faire. Celtic Manor Hotel, Bath Racecourse, Missenden Abbey, University of Glamorgan. Cardiff University, Hafod Housing Association, Heathrow Airport Builth Wells Showground's, Scouts Association Llanfair Caereinon Show , Disneyland Paris, Cameron Macintosh, London Burlesque Festival, Circus Space, British Gas. Pete Gamble wrote the UK's first approved Open College Network Level One and Two, Circus Skills Course whilst he was teaching Sports Studies in FE Colleges and delivered it to Overseas Tour Reps, Childrens Reps, Cabin Crew and staff. He's the Western Skills Trainer for No Fit State Circus and trained the cast of their new show Lexicon, he's an accredidated Western Arts Club Master Trainer, he was a senior lecturer in Sports Facility Management and is a multi International Whip Cracking and Performance Champion and has performed and taught in America, France, Czech Republic, at Circus Space, Glastonbury Festival , many British Juggling Conventions and trained actors, stuntmen, circus performers, celebrities, models and musicians in circus skills, whip cracking, knife and axe throwing, target shooting and blank firing weapon safety. Christina Jones, Gerreint Davies, Anya Robinson, Sylvie Roast Francis Maxey, Mark Bond, Russell Wells, and Andy Horobin can all be available depending on the size of the task and are either ex star students and have undergone instructors training or have trained Peter themselves.